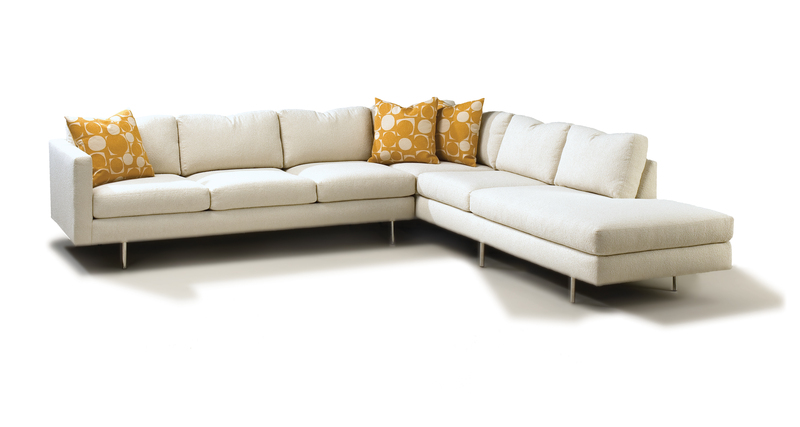 Originally designed in 1964 by Milo Baughman, the 855 Design Classic modular sectional sofa is a timeless icon of the modern era. Customize your sectional by choosing from our twelve different modular units to create the perfect configuration (see our digital tear sheet to learn more). Select one of our many fabrics or leathers or provide COM. Polished stainless steel legs are standard. Height to top of back cushions 32 inches. Round stainless steel legs standard. Throw pillows optional.